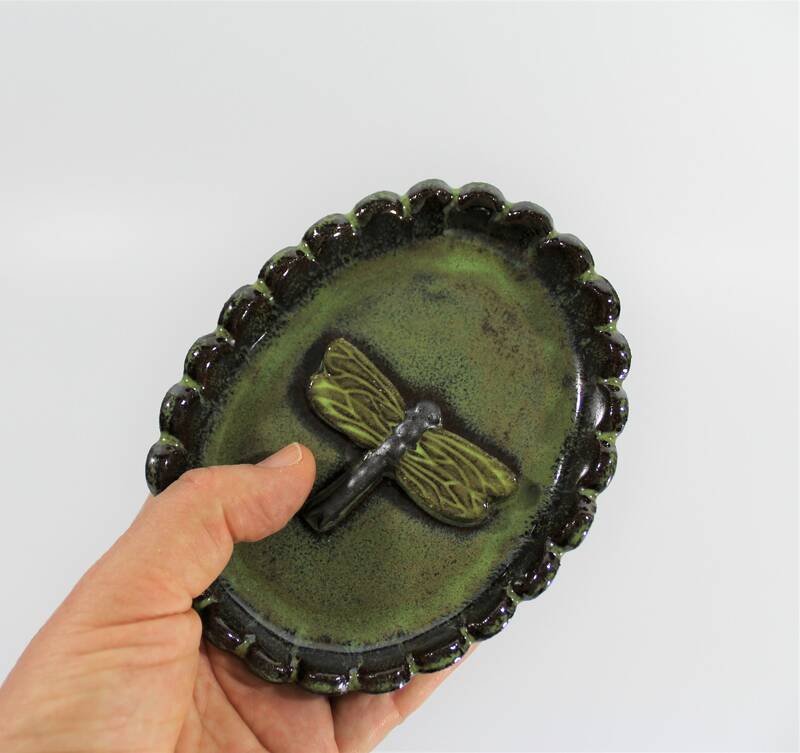 My handcrafted ceramic dragonfly dish is more than just a soap dish. 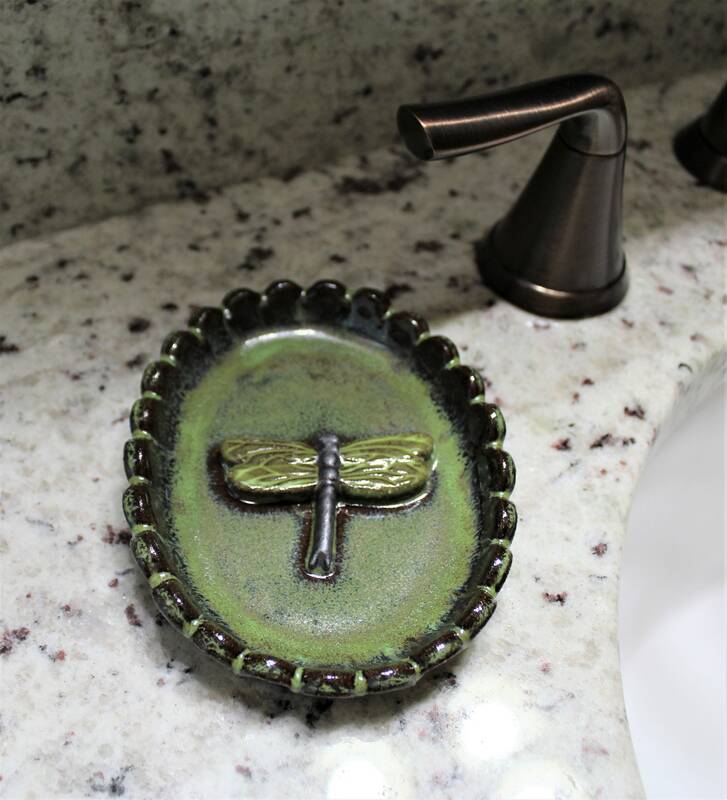 You can also use it as a jewelry dish next to the sink, or on your bedside table. 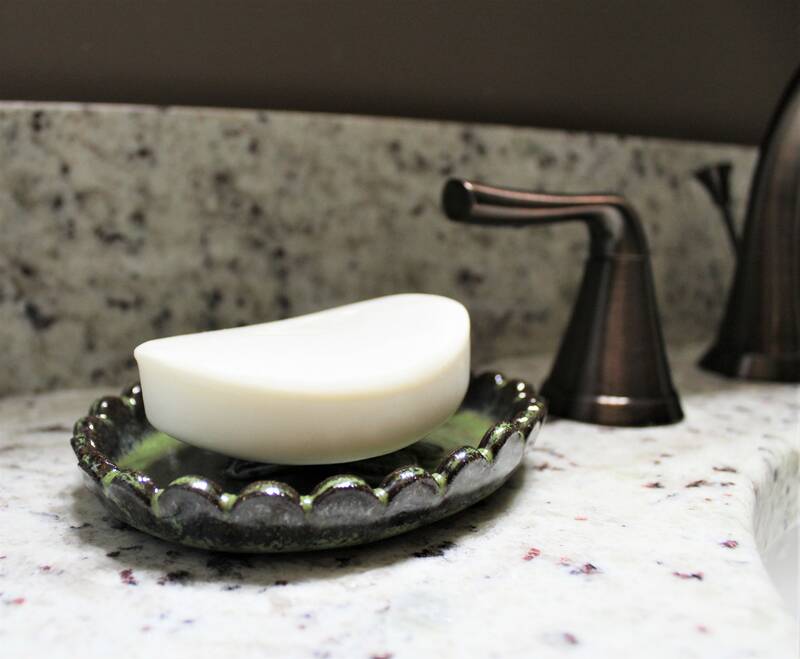 But, as a soap dish, it works wonderfully to keep your bar soap raised, allowing it to dry between uses, and prevents your soap from becoming soggy from sitting in water. 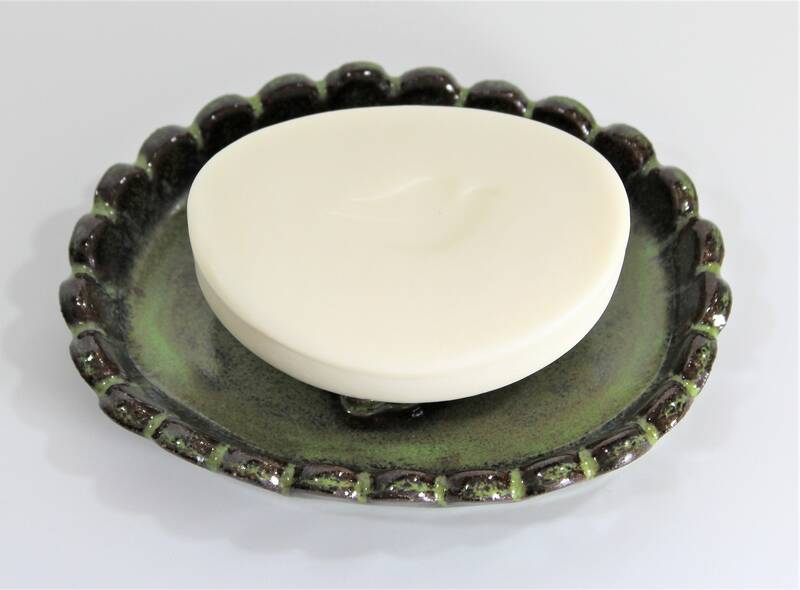 I created these dishes from stoneware clay that were glazed in a rustic green and brown. 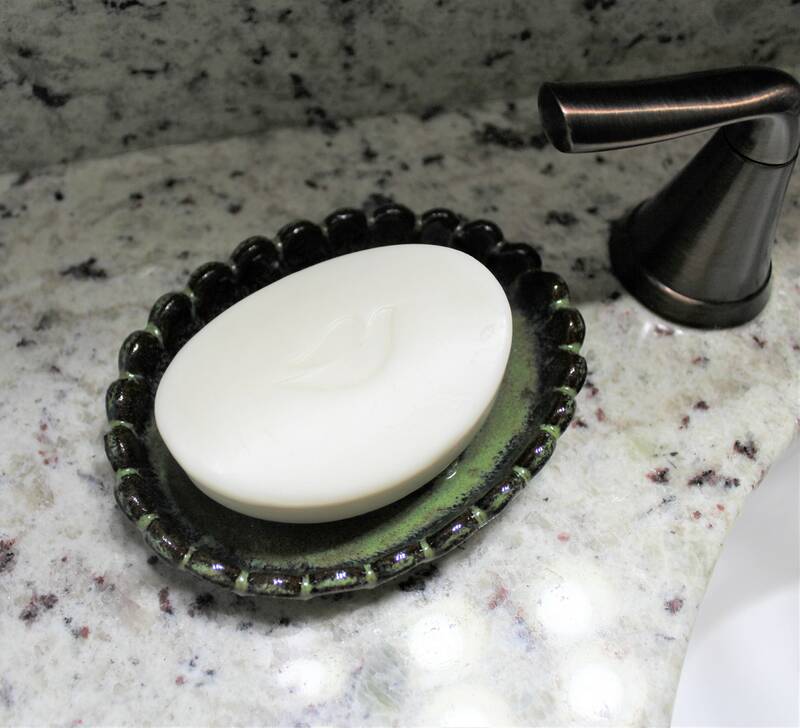 It looks terrific sitting on a granite counter top! 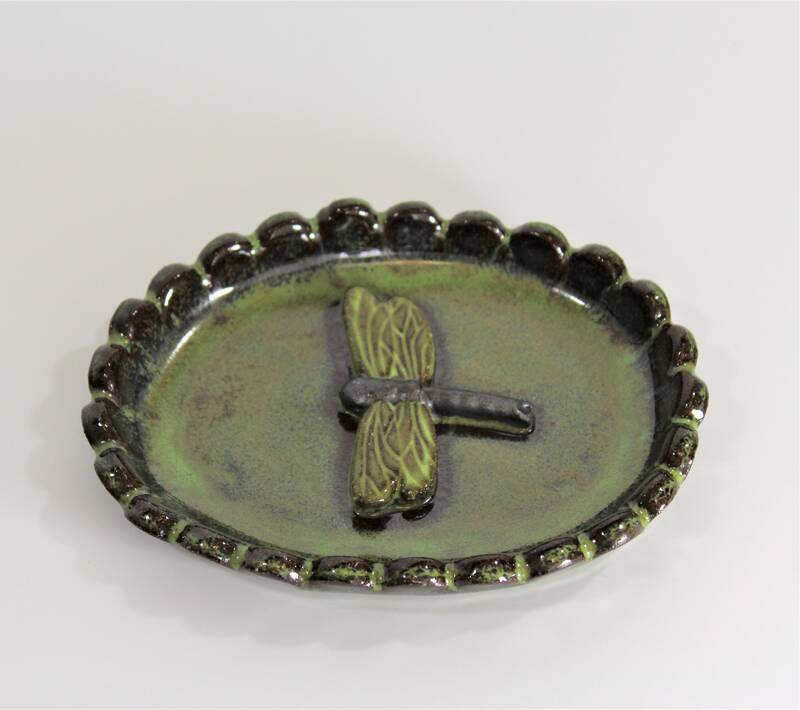 These dishes measure 5" x 4" and are approximately 3/4" deep. 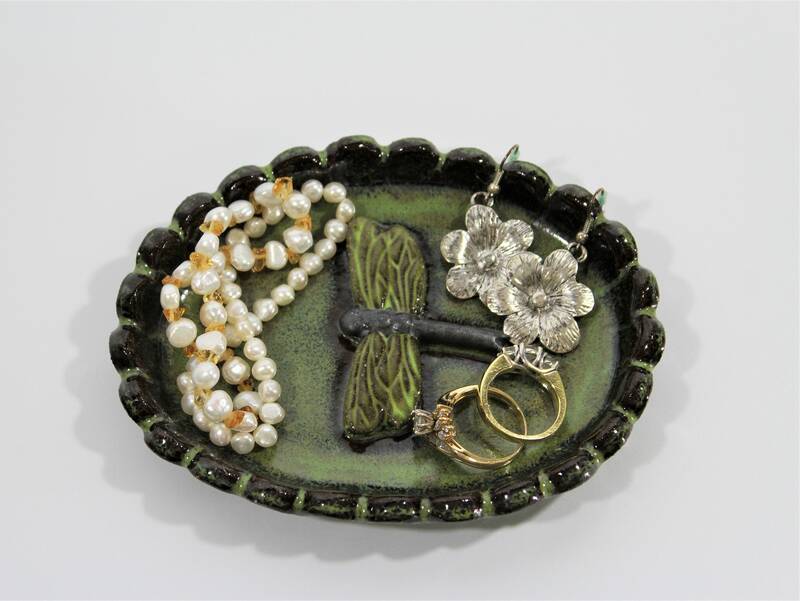 They make great little gift items for birthdays or Mother's Day. 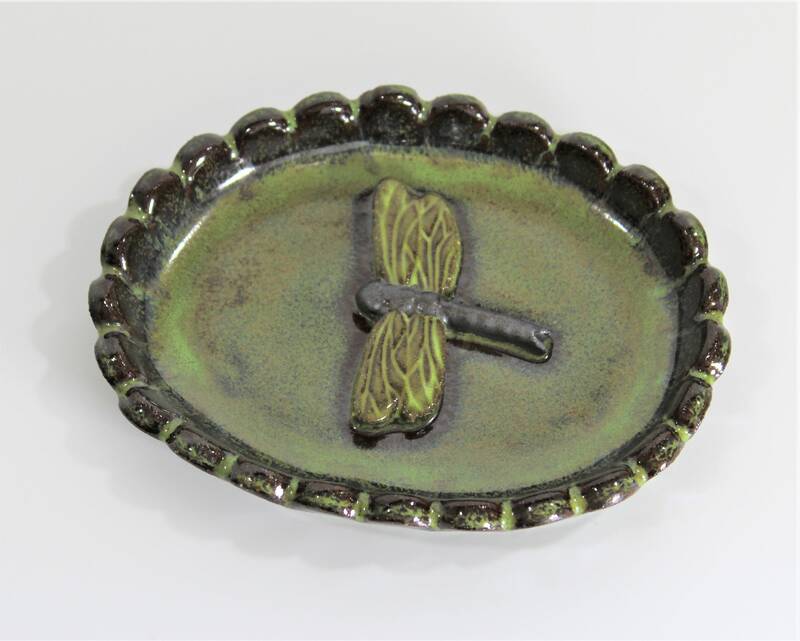 Such a pretty little dish. The color is just what I was looking for. I love a nice dark earthy green color.